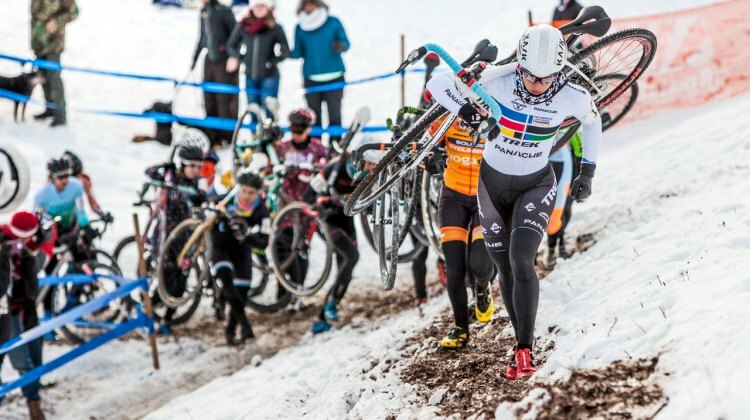 Watch the racing from the 2018 Cyclocross National Championships in Reno live right here on Cyclocross Magazine: Details and schedule here. 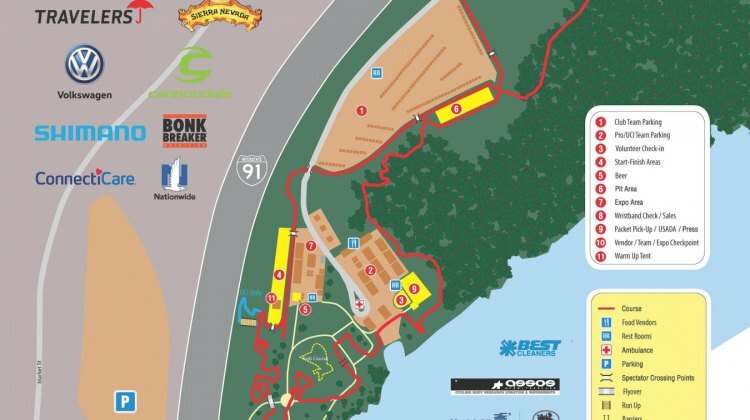 Save & share! 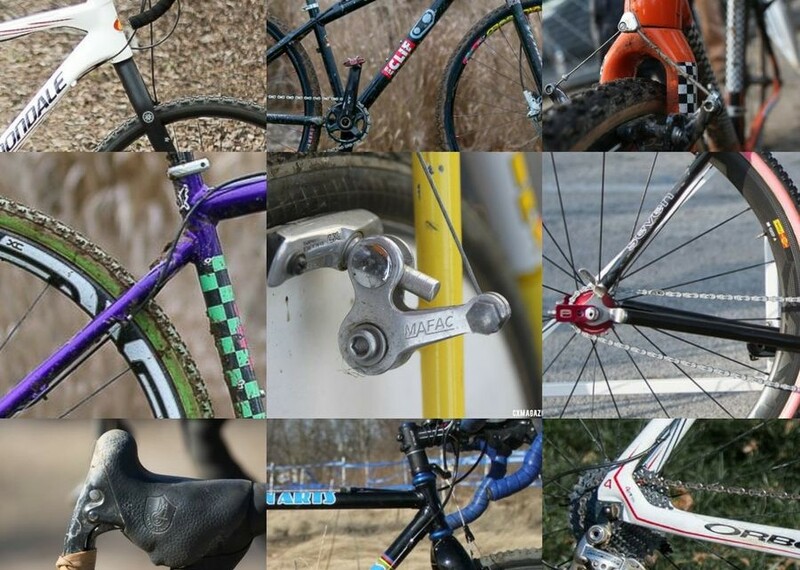 CXM has seen some unique bikes at the U.S. Cyclocross Nationals over the years. 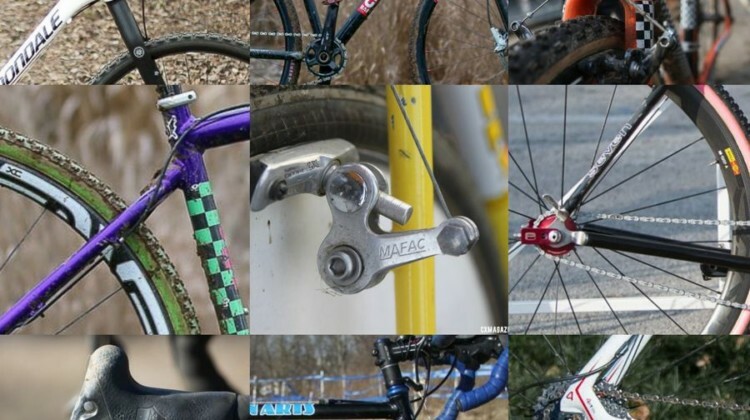 In this TBT, we look at some interesting builds from the archives to get ready for Reno. 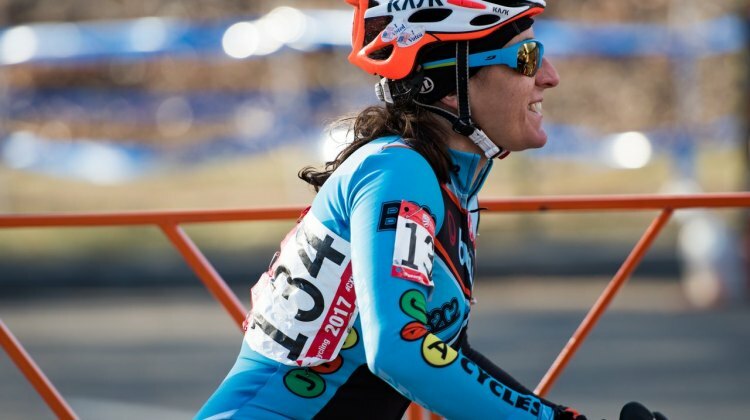 Katie Compton won her 13th straight and Stephen Hyde his 1st at the 2017 Cyclocross Nationals in Hartford. 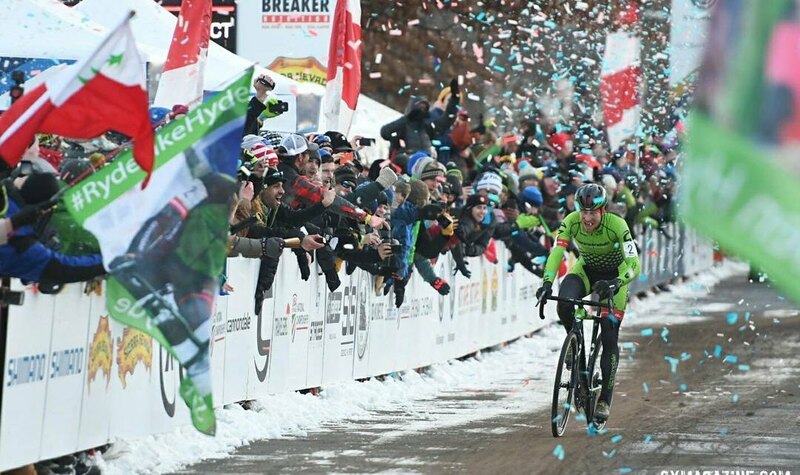 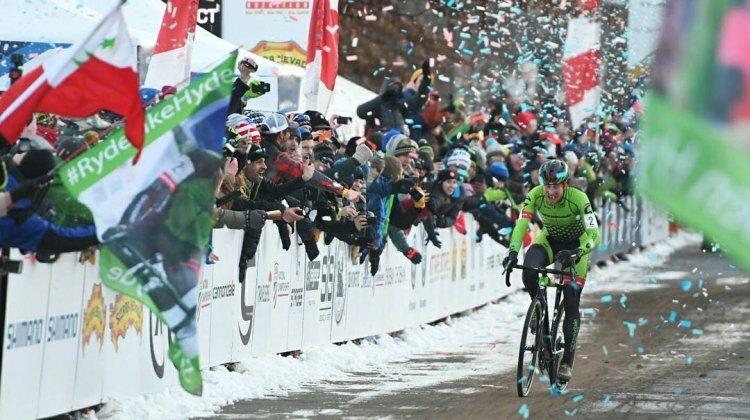 We take a look back at the memorable, snowy races in this 2017 Year in Review retrospective. 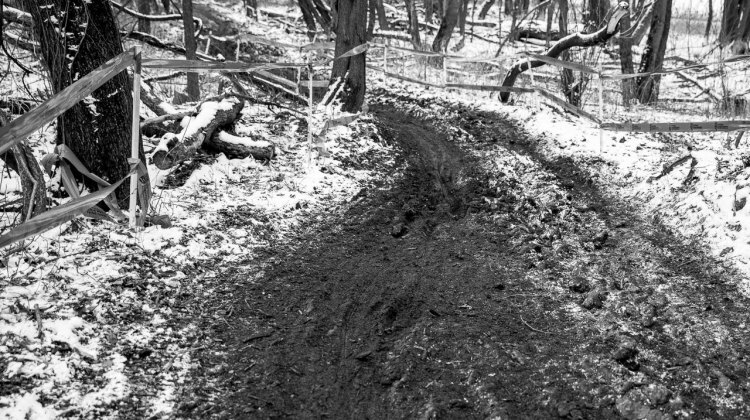 Sharon Sloan lined up for first Nationals in Hartford, crashed in the first turn and finished last. 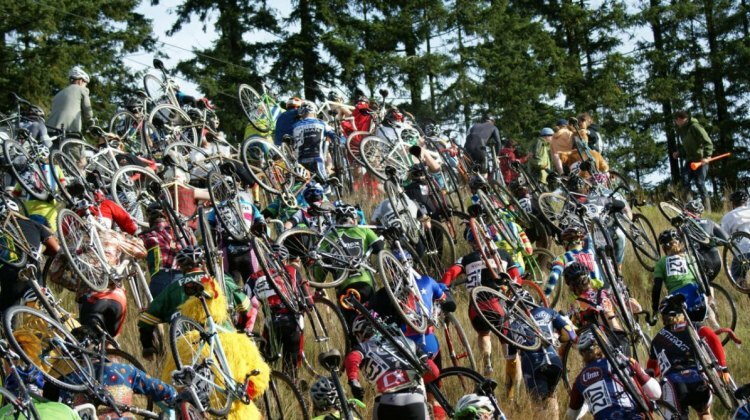 Yet just by lining up for the event, she was already an incredibly lucky winner. 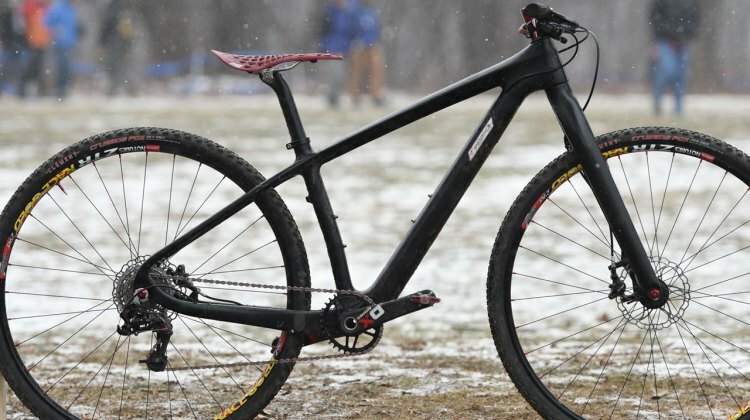 Can a generic carbon frame provide adequate race level performance, light weight and affordability? 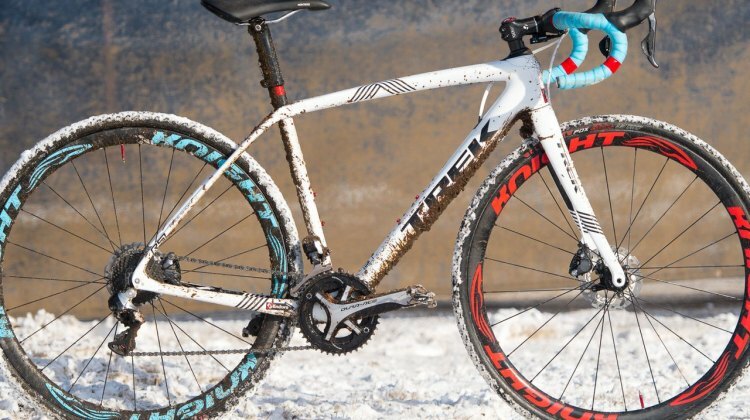 Kaya Musgrave’s winning bike says yes. 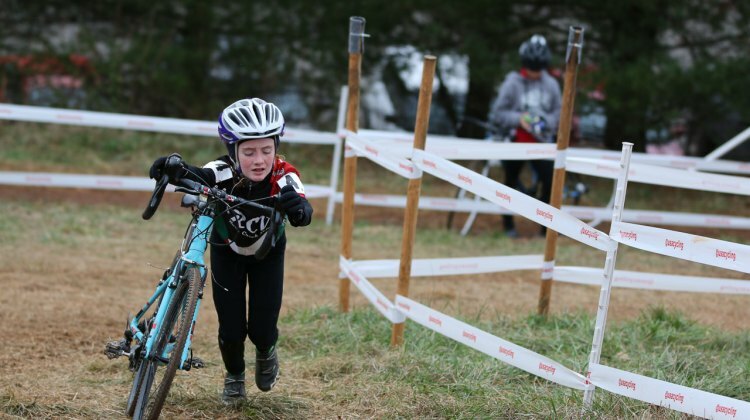 We’ve got a great photo gallery with some of the beautiful moments from the 2017 Cyclocross National Championships by photographer Cathy Fegan-Kim. Just as it’s a yearly tradition for Katie Compton to win a National Title, it has become a tradition for Cyclocross Magazine to take an in-depth look at the bike that got her there. 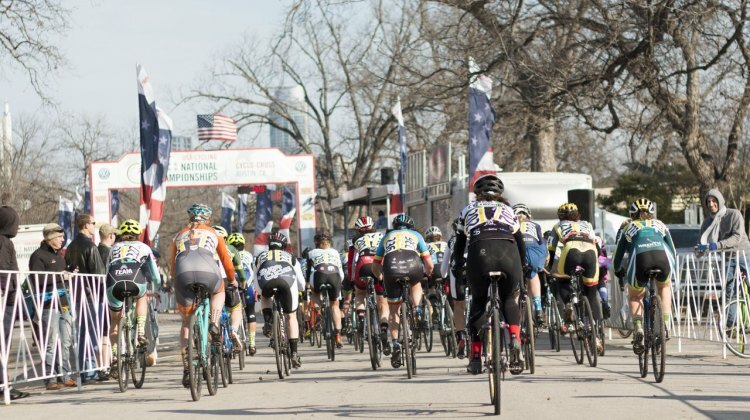 Quite a bit has changed in the last month. 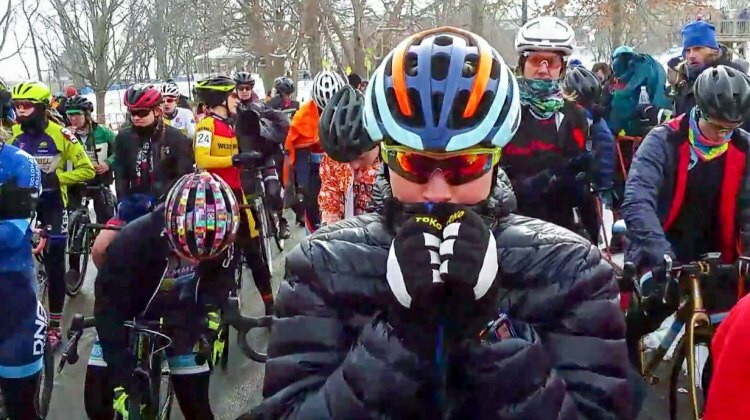 One of the more popular things from our 2017 Cyclocross Nationals coverage was our front line racer and tire check videos. 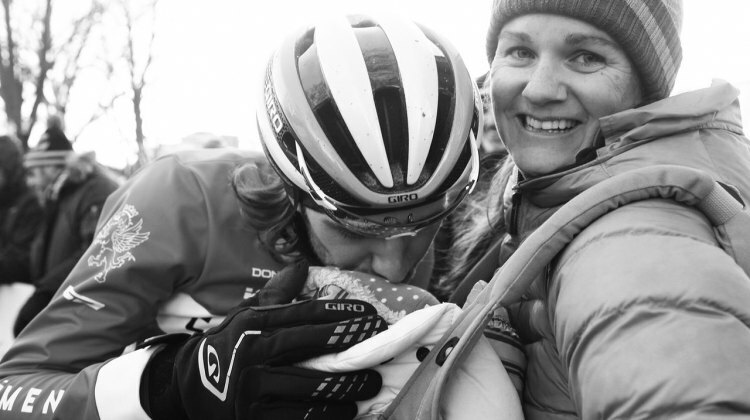 Today got the Elite Women’s start line video here, with some tech notes. 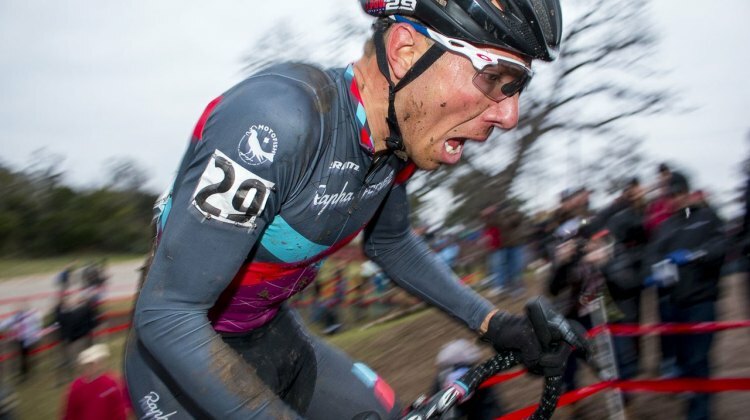 World-traveling photographer Jeff Curtes was back at it in Hartford, racing his bike and then racing around with his camera to capture the cyclocross action. 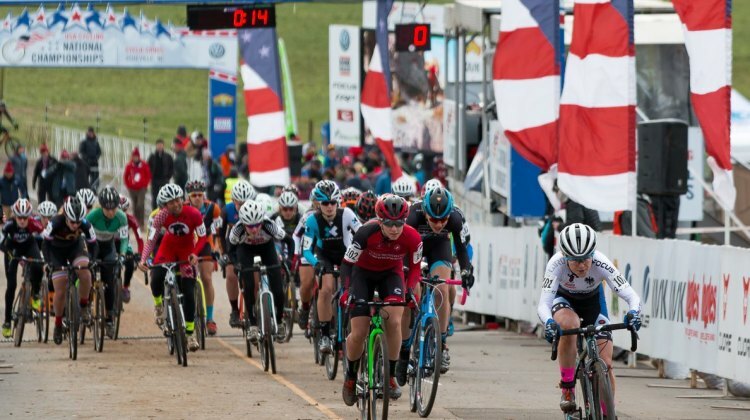 Relive the great day with his gallery from Sunday’s U23 Men and Elite races at the 2017 Cyclocross National Championships. 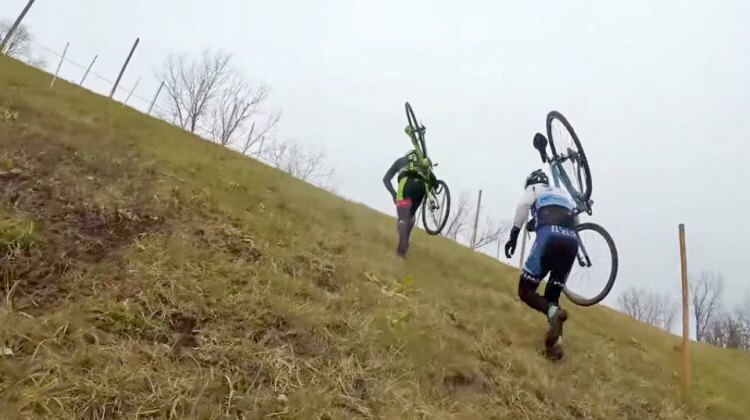 This highlight reel shows a unique perspective of the Elite Men and Women’s races from the Cyclocross Nationals in Hartford. 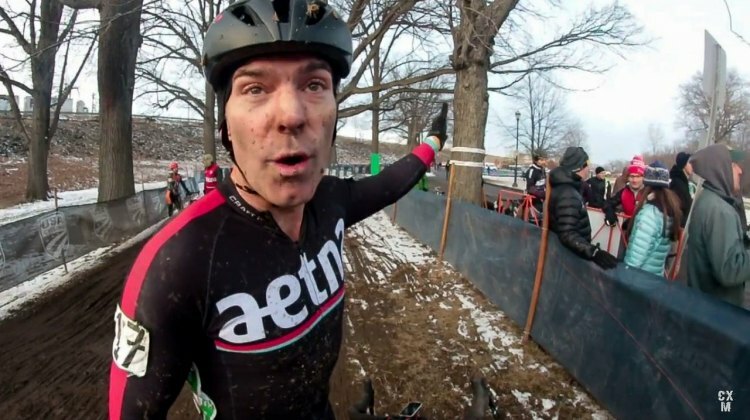 Brendan Walsh blends an interesting mix of high energy music and his fisheye lens to record the race action. 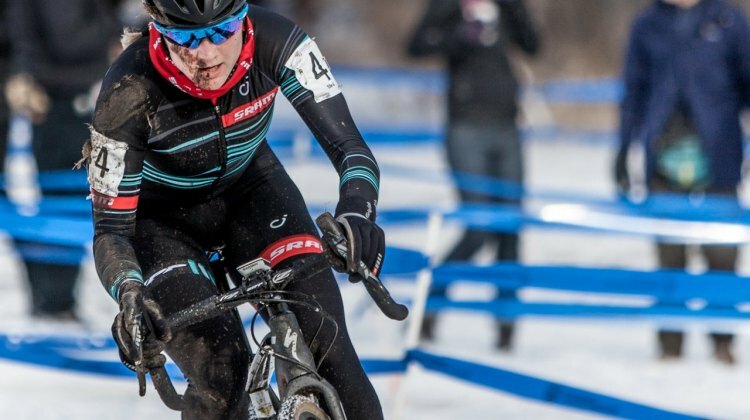 Photographer Daghan Perker made the snowy drive up from New York City to capture the 2017 Nationals weekend’s racing for Cyclocross Magazine’s readers, and we’ve got a gallery of some of his excellent work. 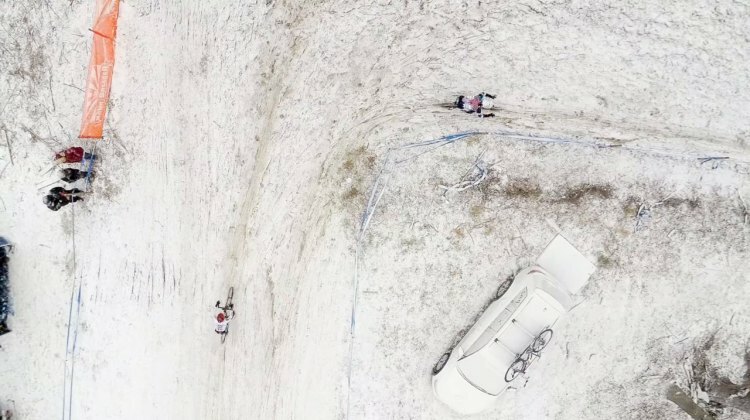 Noah Bell filmed the 2017 Cyclocross Nationals with his drone and steady cam, and ended up with this great four-minute recap video of the always-changing racing in Hartford. 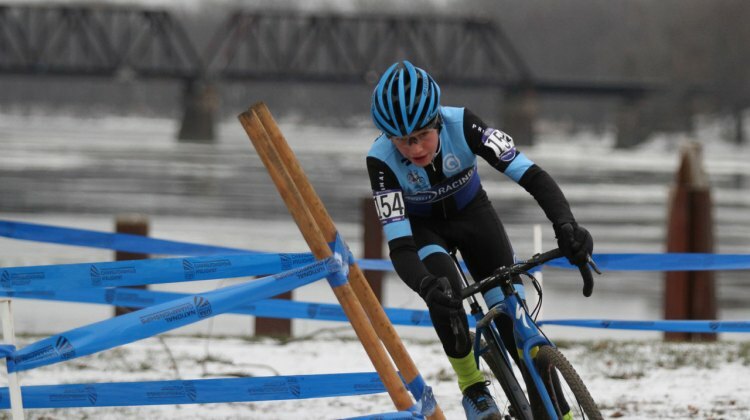 The Junior 13-14 Men kicked off Saturday’s racing and heated up the chilly morning. 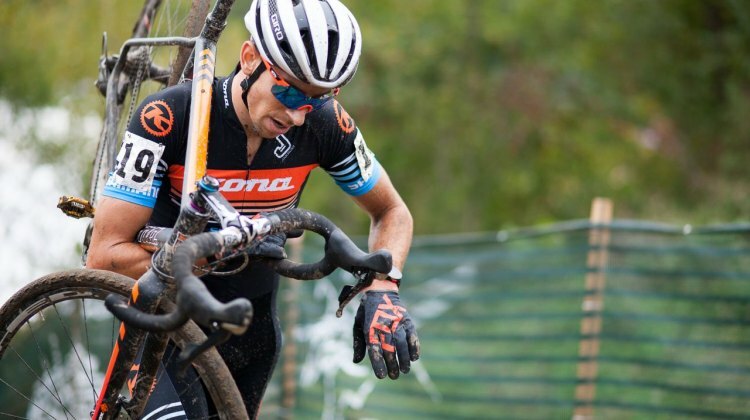 Ryan Campbell (Avout Racing) of Colorado jumped out to a fast start. 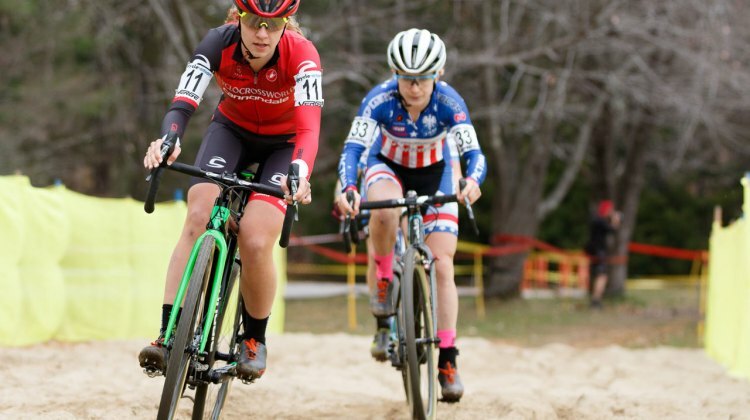 Emma White and Ellen Noble Forge a “Beautiful Duel” in the U.S.
David Hildebrand returned to the Riverside Park for an updated course preview video. 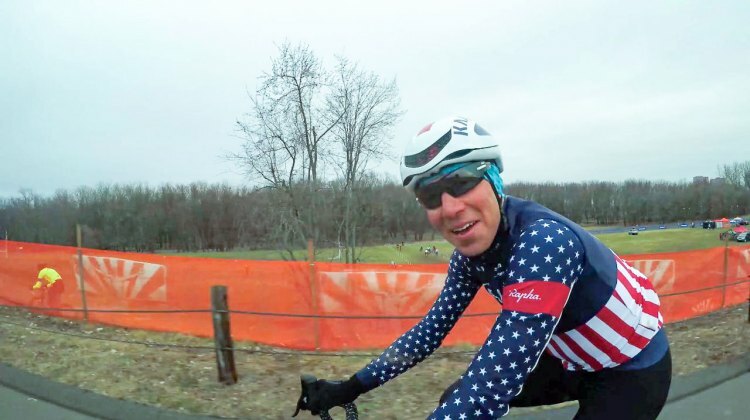 He saw the nearly-finished course, did some hot laps, spoke with USA Cycling and some prominent racers in this updated video. 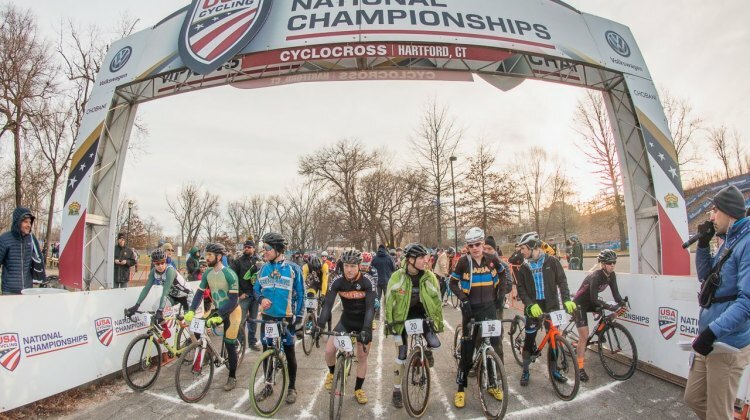 The 2017 Hartford Cyclocross National Championships course is largely set, and we’ve got some videos from the venue that provide some insight on the Riverside Park course. 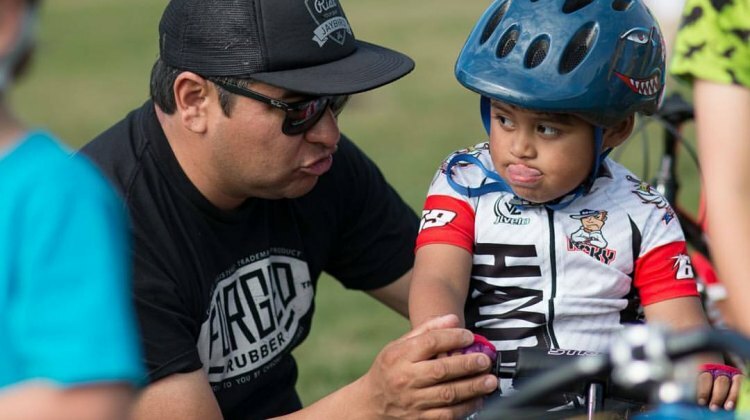 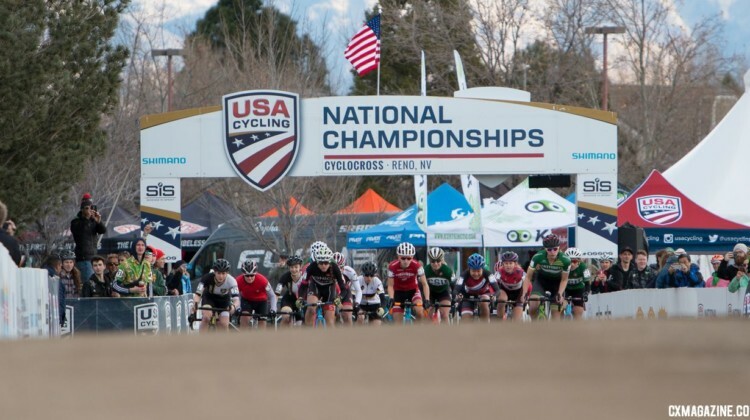 USA Cycling has just announced the five finalists for host city of the 2019 and 2020 USA Cycling Cyclocross National Championships: Bend, Louisville, Ogden, San Diego and Tacoma.